Columbia Astronomy Public Outreach is a subset of the Astronomy Department at Columbia University in the City of New York. We provide public education and outreach activities to the New York City Metropolitan Area. As scientists and researchers who receive the bulk of our funding from public sources (NASA, NSF, etc. ), we feel it is our duty to give back to the public through free educational events. The historic Rutherfurd Observatory resides on the top of Columbia University's Pupin Physics Laboratory housing the university's astronomy and physics departments. It was here in Pupin that the atom was first split in the United States on January 25, 1939 by Enrico Fermi. It was also one of the original laboratories of the Manhattan Project, the secret project to develop the first nuclear weapon during World War II. More recently, astronomical research at the observatory has been curtailed by the advent of light pollution; nevertheless, it is still one of the best places in Manhattan to view the stars. Our department has several telescopes for use at our outreach events. We have an assortment of portable Orion Dobsonian Reflectors (6", 8" and 12" apertures). In our little dome, we have a Celestron Schmidt-Cassegrain with an 11" aperture. Our big dome once housed a 14" reflector, but because of mechanical problems, it was sold to a museum in South Carolina. Now we are left with a similarly powerful 14" Meade Schmidt-Cassegrain but due to differences in telescope designs, it seems dwarfed by the large dome that houses it. 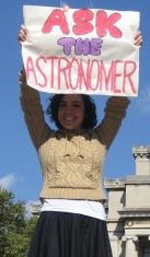 Columbia Astronomy Public Outreach is made possible by the efforts of numerous volunteers from within the department. These volunteers spend their spare time organizing and participating in our events. They include graduate and undergraduate students, professors, research scientists, and post-doctoral fellows. The list below is incomplete for there are many others who have contributed to bringing astronomy to the people of New York. 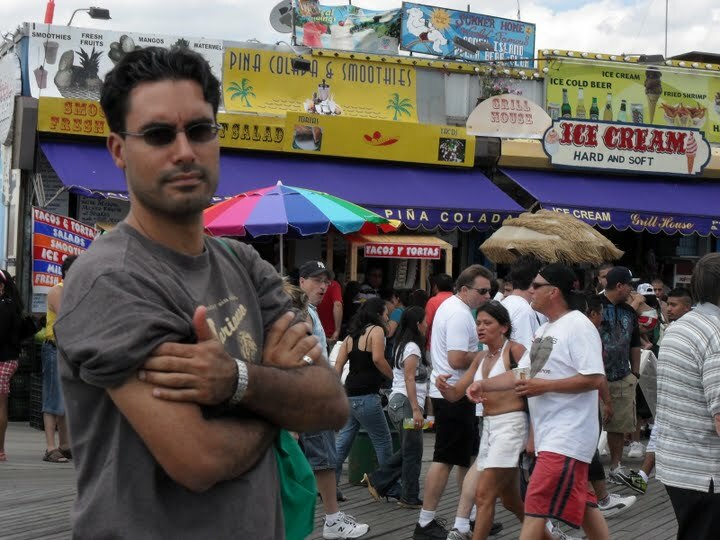 Marcel Agüeros is a junior faculty member in the Astrophysics Laboratory of Columbia University. Marcel earned his M.S. and Ph.D. in astronomy at the University of Washington in Seattle. Marcel's research interests are in stellar astronomy, and in particular neutron stars and other by-products of stellar death. Marcel is also invested in education and diversity issues. As an undergrad, he was certified to teach high school physics, and since then, he has taught and/or worked in classrooms at every level from elementary to adult. 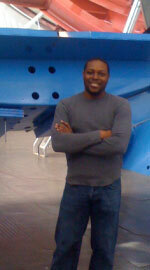 Marcel has also worked extensively on increasing the numbers of women and underrepresented minorities in the sciences. After spending four glorious years in the city of Chicago, where he received his BA in Physics from Northwestern University, Jeff found himself driving a U-haul van across Indiana, Ohio, Pennsylvania, and New Jersey. He finally arrived in Manhattan where he is a fourth-year PhD student in the Columbia University Astronomy department. In the office, Jeff's research interests include stellar and binary evolution as well as anything related to neutron stars. But, in his free time, he enjoys reading novels, cooking, watching movies, running, and especially backpacking. Summer Ash is the Director of Outreach for the Department of Astronomy. 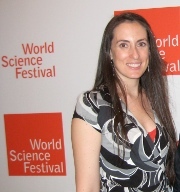 She came Columbia in 2008 as a Science Fellow for Frontiers of Science in the Core Curriculum and stayed on in 2011 to coordinate the many outreach efforts of the department. Her doctorate research was on the evolution of radio galaxies and active galactic nuclei (just a fancy phrase for supermassive black holes). She values the power of the scientific method, the history of science and the necessity of skeptical inquiry. As a self-professed space cadet, Summer grew up dragging friends and family out at all hours of the day or night to look up at the sky. In her previous life she was a rocket scientist, but now enjoys getting paid to spread her love of space with anyone who will listen. Lauren is a third-year graduate student at Columbia who moved to New York after receiving a degree in physics from the University of Pennsylvania. As a relative newbie, her research interests are still developing but she's working this year on tracing structure in galaxy formation using simulations. Having grown up in Philly, Lauren didn't ever really get the chance to see stars so she's excited to give other city kids the chance she never had to go observing. Lia saw first light on September 4, 1984 in sunny San Diego, CA. She grew up with an addiction to Discovery Channel space documentaries, thinking about black holes, and dancing. Eventually she moved to Harvey Mudd College and graduated with a degree in Physics. She then worked at Astrocamp, a science camp that focused on hands-on and experiential learning. Now Lia is a fifth-year Ph.D. student at Columbia University. She currently studies the size and composition of space dust with X-ray imaging and spectroscopy made possible by NASA's space-based telescope, Chandra. Dan D'Orazio hails from the wilderness of Pennsylvania, where after years of building tree structures and various flying contraptions he learned that one could study science for a living. After receiving a B.S. in physics and mathematics from Juniata College (in central Pennsylvania), he moved to Zurich, Switzerland, to study gravity and the Galactic center. Currently, Dan is a graduate student studying the astrophysics surrounding mergers of super-massive black holes, the black hole at the center of the Milky Way, and any phenomena that could lead to a better understanding of apples falling (i.e., gravity). 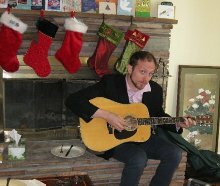 When the time presents itself, Dan also enjoys playing the guitar, building electronic instruments, learning languages, camping and hiking, sitting and thinking, poetry, and practicing winking. 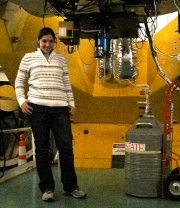 Erika is a sixth-year Doctoral Candidate in astronomy at Columbia University. She went to Harvard College as an undergrad, getting a degree in astronomy. Her research interests are in galactic dust clouds, detector technology, and ultraviolet instrumentation. In between college and grad school, she moved to London to go to Le Cordon Bleu culinary school. She then worked as a chef in her hometown in New Jersey. She receives an unusually amount of flack for her love of her home state. Outside of school, she spends a lot of time cooking, going to the Opera, and visiting New Jersey. 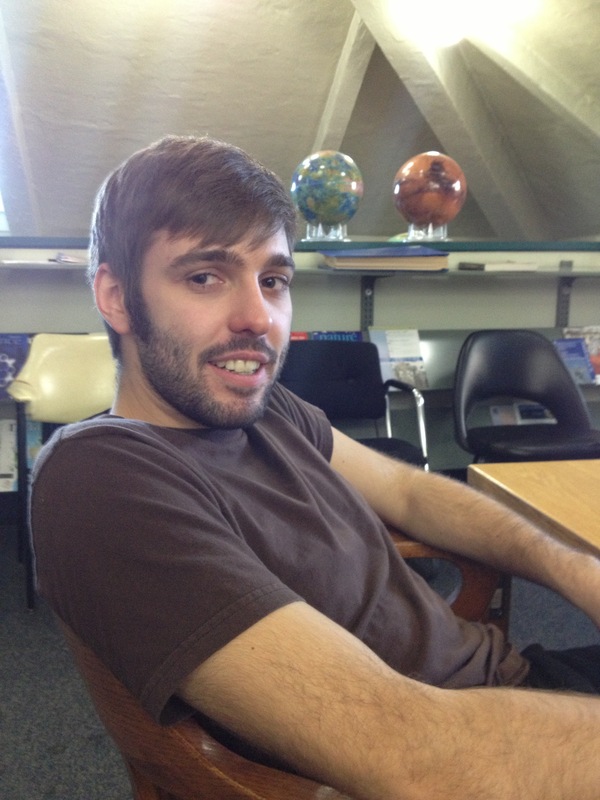 Duane is a fourth-year astronomy graduate student from Pittsfield, Massachusetts whose research interests include emission-line galaxies, the neutral hydrogen content and morphology in galaxy groups, and most recently, nuclear star clusters and their relationships with massive black holes. Yuan is a second-year graduate student at Columbia. 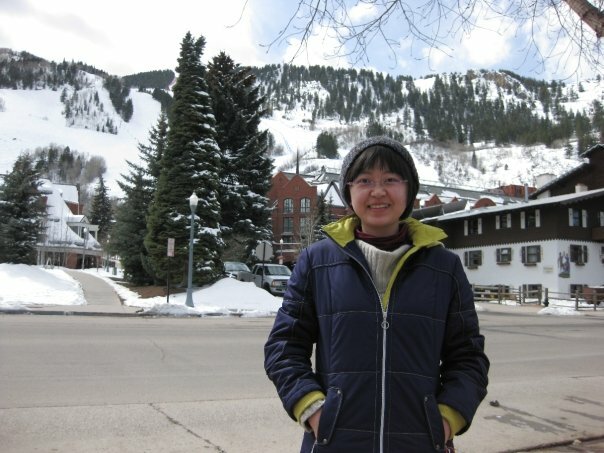 She graduated from Nanjing University in China and earned her M.S. at Purple Mountain Observatory studying gamma-ray bursts. Apart from stellar death and explosions, Yuan is also interested in galaxies and star formation. She has been doing research on extreme star-forming galaxies and their evolution with cosmic time, and is right now trying to simulate how gas cools down inside the core region of galaxy clusters. Outside of the academic field, Yuan does drawings and oil paintings. Steven is a post-baccalaureate student in Columbia's Astronomy Department and a native New Yorker. 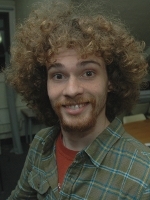 He recently graduated from Colgate University with a B.A. in astronomy-physics. Steven's reserach involves looking at the gas context and star formation in nearby massive galaxies to learn how these galaxies formed. Steven is excited to bring astronomy to the city he grew up in as a child and hopes to inspire a lifelong love for astronomy amoung NYC youth. Outside of astronomy, he enjoys running, football, cooking, music, and cake. As a former research scientist with the Sloan Digital Sky Survery (SDSS), Adrian because intereste in large survey science and statistical inference in large data sets. He is currently working on weighing the Milky Way using stellar debris from disrupted satellite galaxies and searching for microlensing events in the wide-field Palomar Transient Factory survey. 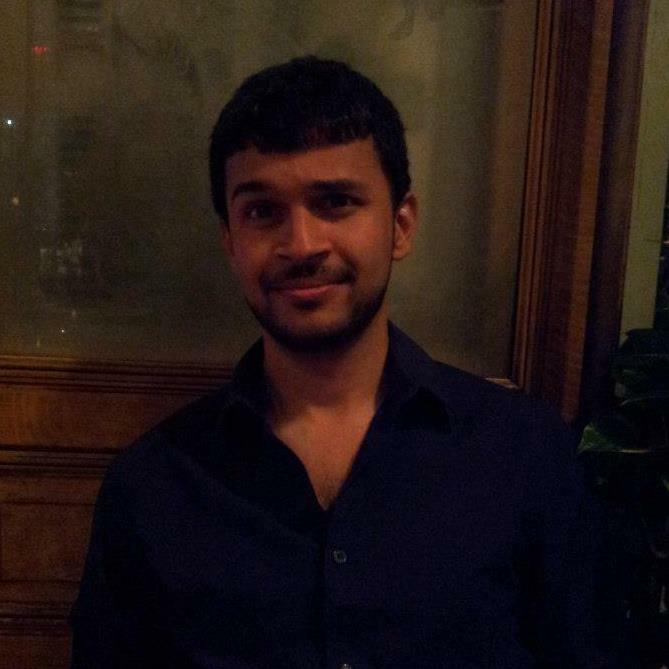 Outside of research, Adrian enjoys playing and writing music, programming, hiking, teaching, and bicycling around Manhattan. 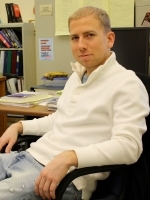 Destry is currently a doctoral candidate in the Department of Astronomy at Columbia University. He graduated from the University of California, Berkeley with a B.A. in Astrophysics, Physics, and Theater and Performance Studies. He is interested in cutting-edge radio astronomy. Outside of academia, Destry enjoys cycling, playing the mandolin, and gardening. He is a (very) part-time lighting designer for theater and dance performances. He also enjoys living in Harlem. 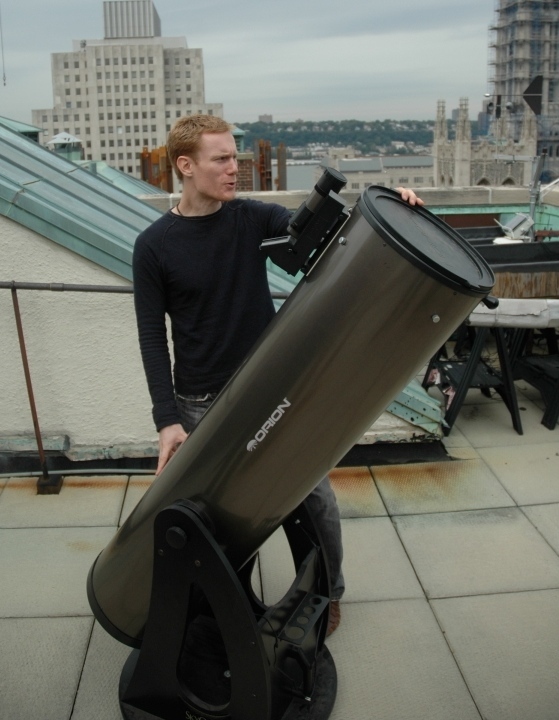 Joshua Schroeder is a PhD candidate in Columbia's Astronomy Department. His main research interests are high energy astrophysics and the epoch of reionization. Prior to Columbia, he taught physics and astronomy at Harold Washington Community College for two years. He has a M.S. in astrophysical and planetary sciences from the University of Colorado, Boulder and an A.B. in astrophysical sciences from Princeton University. Hailing originally from Baltimore, Jennifer is a fourth year graduate student at Columbia Univeristy. Her undergraduate work was at Brandeis University in physics and mathematics, where she slowly discovered her fondess for radio astronomy. She is particularly interested in white dwarfs, novae, high energy jets, and other things with explosions. Outside of astronomy, she likes backpacking, cooking, traveling, movies, and things with explosions. Joo is a second-year graduate student. 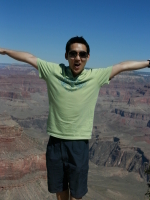 He graduated from Yonsei University in Korea and came to the US to start the PhD program in 2008. He is interested in galaxy clusters, gas accretion, the Local Group, etc. Einstein led him to astronomy but currently his research has nearly nothing to do with him. Joo also loves to travel. His next goal is to hike the Inca Trail! The following volunteers have left Columbia but were dedicated to our outreach efforts during their time here. In addition to being a fifth-year PhD student at Columbia University, Cameron is the NASA IYA Student Ambassador to New York State. 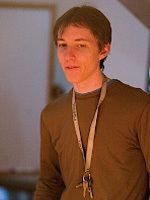 Cameron's research consists of using computer simulations and observations of the sky in order to better understand how galaxies form. He is also interested in our nearest neighbor, the Moon, and how it has changed over the last few billion years. Cameron loves bringing science to the public through lectures, star-gazing, and outreach activities. He one day hopes to become an astronaut. Outside of astronomy, Cameron enjoys running, cycling, hiking, languages, mustard and guitar hero. *Cameron is now a post-doc at the University of Arizona. 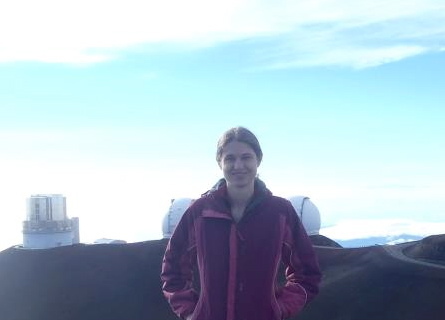 Jana is a PhD student at Columbia University, having previously studied physics, astronomy, and math at the University of Wisconsin in Madison and received her Masters in Astrophysics from the University of Michigan in Ann Arbor. Her current research project involves observing and simulating dwarf galaxies (which despite their name are more than a quadrillion miles across!) to explore how they evolve and interact with galaxies like our own. Her favorite thing about being an astronomer is being able to view of the Milky Way from a dark mountaintop. Outside of astronomy she enjoys photography, typing letters on her antique typewriter, and clicking the random button on Wikipedia. 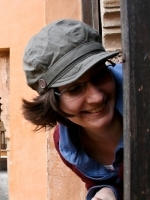 *Jana is now a post-doc at the American Museum of Natural History. 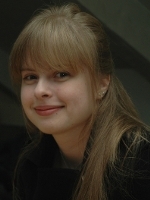 Laura is a junior at Barnard College majoring in Astrophysics. She does research for Professors David Schiminovich and Joseph Patterson, concentrating on binary star systems and disk dynamics. Laura enjoys observing, cooking, and the N64 version of Super Smash Bros.
*Laura is now a graduate student at UCLA. 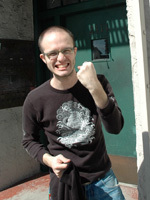 Neil is a PhD student in the Columbia Department of Astronomy. He works on developing new optical techniques to uncover extrasolar planets buried in starlight. His public outreach activities include the Friday Stargazing Nights, the Harlem Sidewalk Astronomy project, Rooftop Variables, and Family Astro. *Neil is now a post-doc at the Max Planck Insitute for Astronomy.